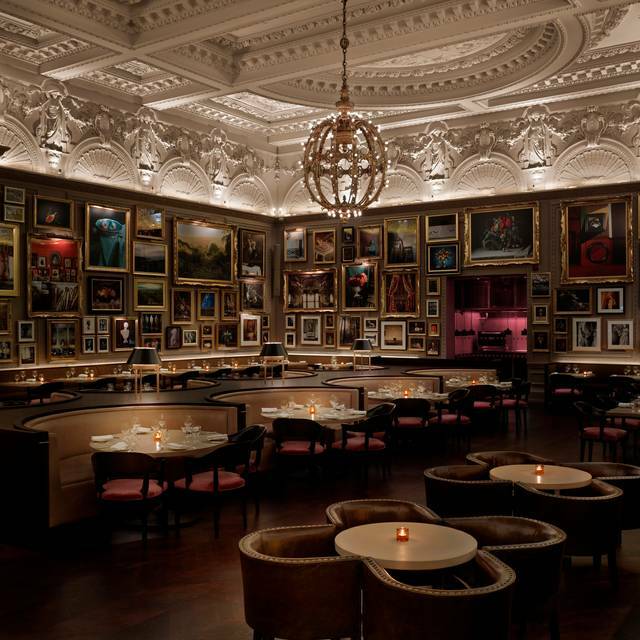 Located above Berners Tavern, the private dining room is an intimate space. 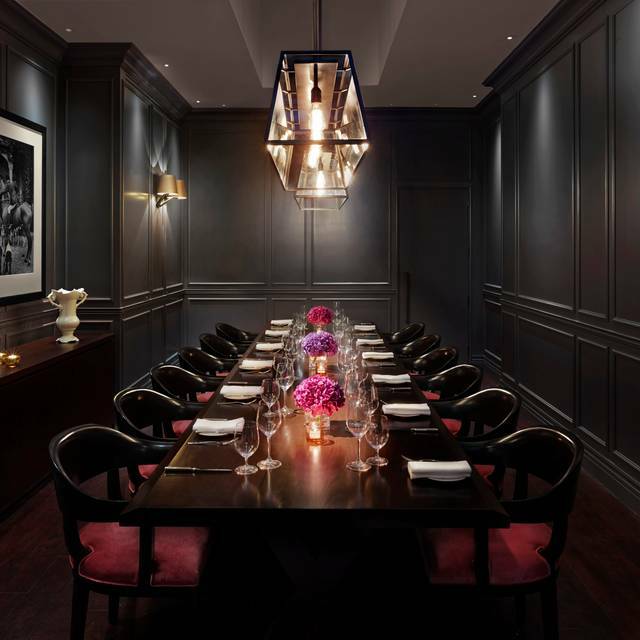 A modern, long dark walnut table with rose upholstered chairs is placed under an original historic skylight with atmospheric lighting. 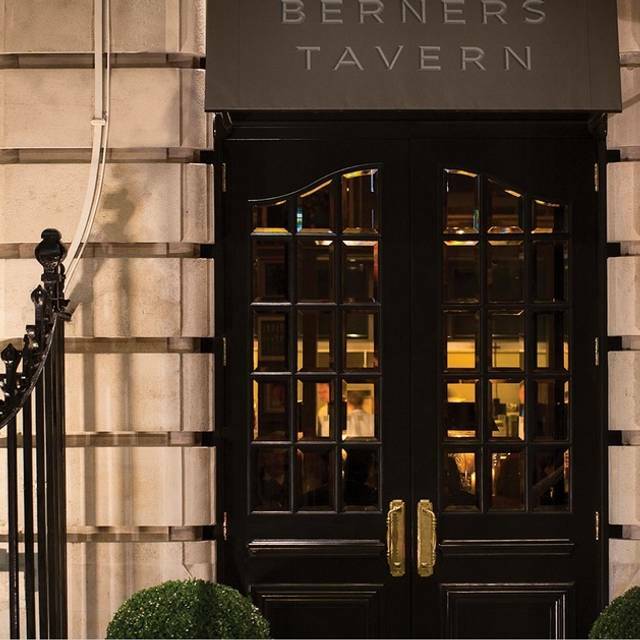 Berners Tavern Private Dining Room is available to suit every occasion. Nice and fancy place for Breakfast. Friendly Service, good Coffee and delicious food. Beautiful atmosphere, we'll come back. It's an imposing room with lots of framed photos on the very high walls, service was very efficient, we had 2 different salads, an amazing soup and the chicken dish, all very good. The wine was excellent but somewhat pricey. Very good service and knowledgeable staff. The restaurant was unusually quiet when we visited. The room is beautiful and the food delicious. Great place for breakfast. Good food and good service. We sat in the bar area to eat and were really surprised and disappointed that you make your poor female staff dress in a uniform that makes them frankly look like they work in a tacky nightclub. I felt so sorry for them having to parade around in minidresses that were also low-cut... I don’t think you need to do that in any decent establishment. Otherwise food was great. Service ok. Wine fab - have been before and will go again but not to dine in the bar area next time. I am pregnant and they were very conciseness about checking cooking levels and letting me know about ingredients. It is great ambiance and decoration and even the food is great apart from my steak comes well done instead of medium but even though it was great. I love this place. If you enter from the hotel entrance, you additionally experience the brilliant ambience of the hotel - very elegant but also homely. The same applies to the restaurant. As for the food, my partner and I recently visited for our 13th anniversary, and it did not disappoint. Each course was well thought out and full of flavour. I think her favourite was the dessert, but I was torn between the starter and the dessert. Additionally surprising, as it is not always a given, the staff were very friendly and attentive. My partner was initially running late (was helping a homeless person) and the staff made sure that I had everything I needed whilst I was waiting. Very nice touch. So yes, overall, I would highly recommend, for any occasion, as well as special ones. The food is so fresh and delicious, the staffs are very friendly. Fabulous interior. Excellent food - particularly the beef mac & cheese, and the mushroom gnocchi. Surprised my partner with a birthday dessert with beautiful calligraphy chocolate writing too. My Nice loves the waiter. One of our all time favorite meals. And gluten free! Excellent choice for starters and main menu. We both had a filet steak, with bernaise and pepper corn sauce respectively. the meat was slightly too cross on the outside, still in delicious range though. when looking at the desert choices this may be a room for improvement. the rhubarb desert was the only thing we would not be recommending any further. I hosted friends from Luxembourg and they absolutely loved the food and experience overall. Our Italian server was superb, as charming as he could be. We loved pork pie appetiser and beef tartare and cod fish, but the highlight was the Tarte Tatin with Calvados ice cream, simply to die for! We shall be back very very soon! Really felt rushed, glasses taken off the table as soon as bottle of wine was complete without being offered more. This was straight after the main course. Outstanding as always. 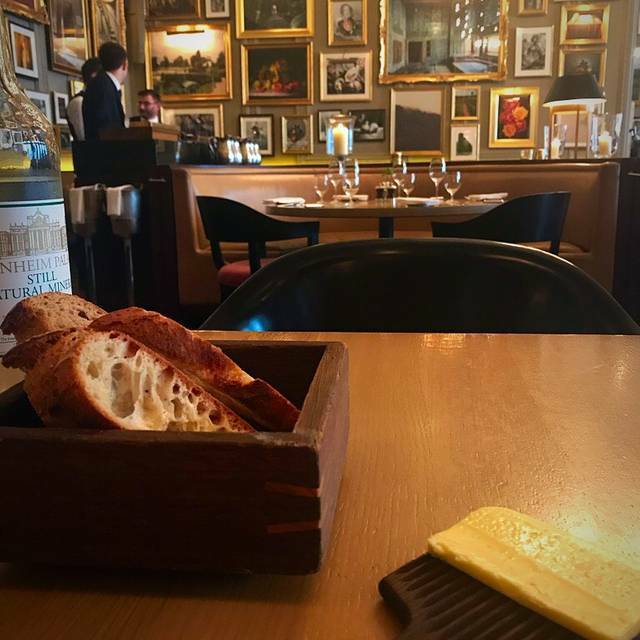 One of the best restaurants in London. You must try their legendary Mac n cheese, any of the beef cuts and the chocolate ganache dessert - all to die for. 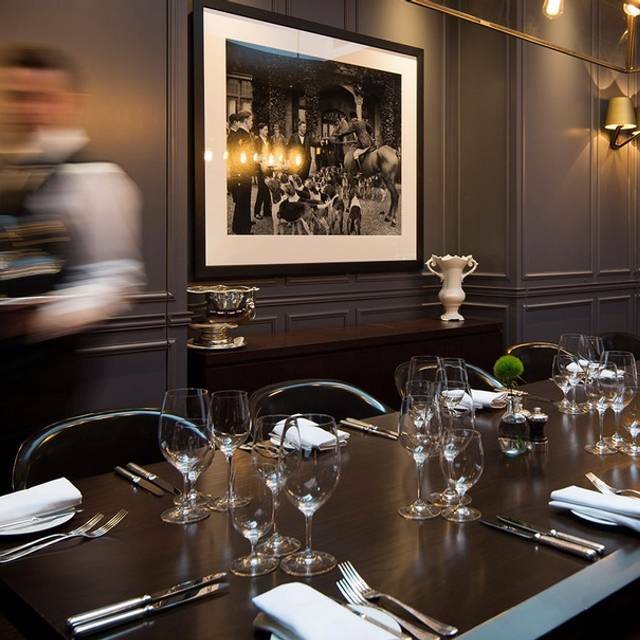 Absolutely divine food, exceptional wine list, flawless service and fantastic ambience. Pricey but worth every penny!!! 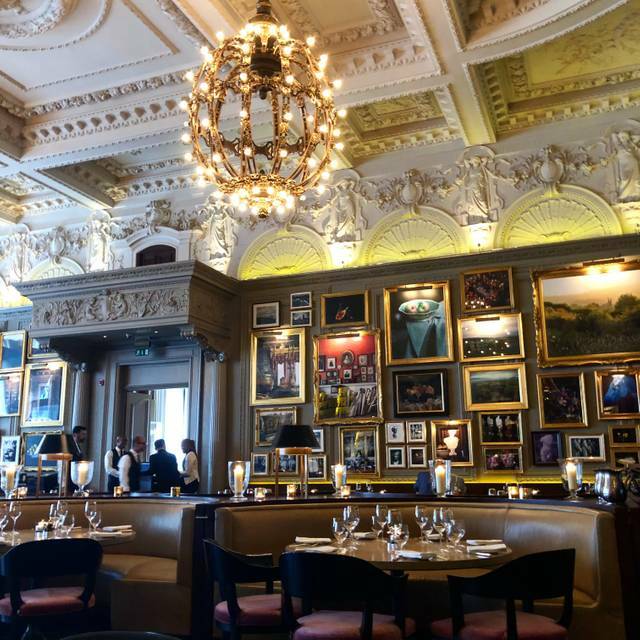 We had a wonderful breakfast at Berners Tavern. The Food ist good (although not great), Coffee and Tea is really good, the service and the location are outstanding. Thank you for having us. Very impressed by the service. The receptionist was pleasant and helpful in allowing me to move to a quieter table and our waitress Valentina Cantarelli was exceptionally helpful, attentive, efficient and friendly. I hope she serves us next time I visit. The food was very tasty and good quality ingredients but my poached eggs were not very warm and I guess had been left standing for some time to cool down that much. Overall a very enjoyable visit. Bland food. Massively overpriced wine list. Amazing decor. Excellent. Will definitely go back soon. Food is delicious and everyone is very nice. Unfortunately Berners no longer do their amazing weekend brunch. They said this is because they were 'too busy' in the past but it just seems to be an excuse to ramp up their prices on the weekend. Very disappointed, will not be going back. Food was excellent. Great atmosphere. Very long wait for the main course which was a shame. Service was also a bit choppy - we were asked the same question several times by different staff and despite there being a lot of waiters/waitresses it seemed quite difficult to get their attention. Wasn't a smooth experience on the service front. Delightful afternoon. Service was a bit patchy. Prolonged delay in between courses and I waited about 30mins or more between my main and desert. And we had to ask for clean plates and cutlery replacement for the afternoon tea. But these are few quibbles. The staff were nice , the food was good and overall it was a lovely afternoon. Thank you. The service was great, however, it took around half an hour from ordering to getting our food. It was still a great experience and made our anniversary very special! Excellent service, Great atmosphere, would definitely recommend. 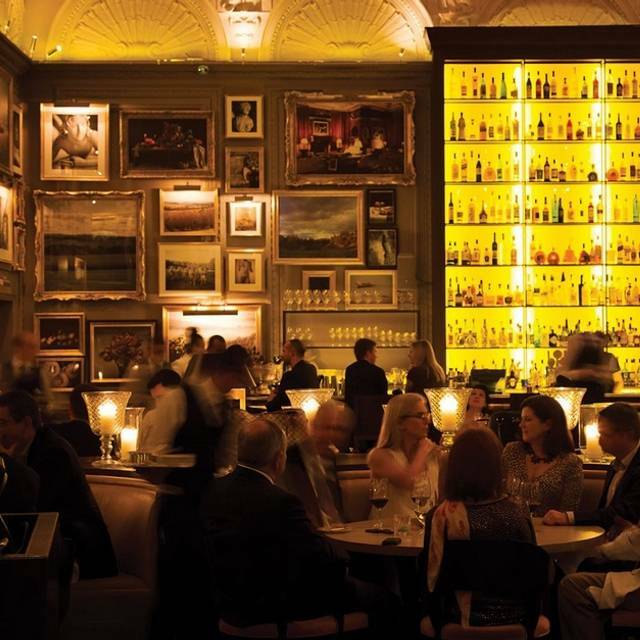 I would like to sincerely thank Will and the team at Berners Tavern for creating a very special night for me and my partner. To say that they went above and beyond is an absolute understatement. The service, food and atmosphere is unrivaled in London and we will definitely be back again many times in the future. The food was amazing and the service was incredible. I don’t think I have experienced better service in London. The restaurant is beautiful with high ceilings, yet it still felt very intimate. Visited on a Monday evening and was pleasantly surprised to find it reasonably busy so atmosphere was good. Buzzy but not too loud. Bit of a shame that we were shown to a side table - so one of us facing the wall - with other customers pretty close on their tables when there were nice ‘booth’ seats available. Would have been a nicer experience work a more rounded view. But never mind. Food was good - well cooked and good size portion. Had the signature Mac and cheese with the beef and would highly recommend it. The experience was generally very nice, the starter were very good, the selection of food appears to be limited, the mains were not as good as I expected. I think what it really upset me most was the presence of a small mouse running around the restaurant. I did not want to spoil the dinner and get into an argument, the staff was pretty relaxed about the presence of the mouse and not surprised at all. I was told that they have been trying to catch it for a while. which to me I found this to be unacceptable standard and therefore with a big remorse I will not be a returning customer. Lovely and relaxed placed for breakfast, not too noisy either!! Only criticism was that one member of our party felt their fish portions was a bit small, but delicious. Also could do with a few more reasonably priced wines as most are at the high end not a lot to choose from around £50 and under. When with a group of people on a mixed budget it was hard finding something to suit. 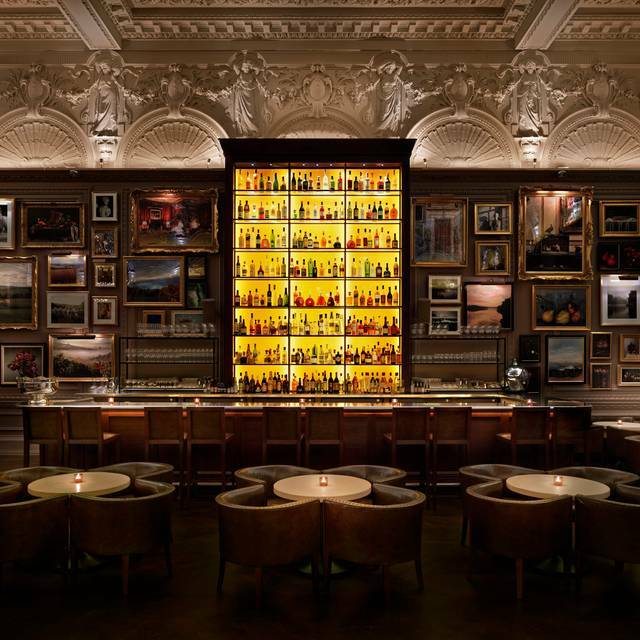 Amazing combination of buzz, aesthetics, attentive service, terrific cocktails, and top end steaks.